It is very irritating to see ugly black patches on our knees and several other joints, which make us feel tensed and gloomy. No matter how much you apply a different variety of remedies these patches are so stubborn that they even refuse to lighten up. Now you must be thinking about why all of the remedies are not sufficient enough to provide some relief this is because our knees and elbows do not have any oil glands and thus are always in a dry state unless anything oily is applied or some things which have rehydrating capabilities and thus here are 9 natural remedies to nourish your skin and bring its natural glow. They are not just tasty and refreshing but are very much capable of removing your dark knee patches and elbow patches. Cucumber carries a very strong bleaching property which removes all the dead skin cells and improves the skin textures, it is rich in vitamin A and vitamin C which restores skin quality. All you need is to first wash your skin under running water and rub the slices of cucumber on the affected area. Lemons are equipped with antioxidants and vitamin c which improves skin nourishment and also brightens up your complexion. On the other hand baking soda is good for cleansing and whitening dark patches. You just need to get up to do a little effort in cutting a lemon into two halves and sprinkling some baking soda upon it and now rub your elbows and knees for a minute. 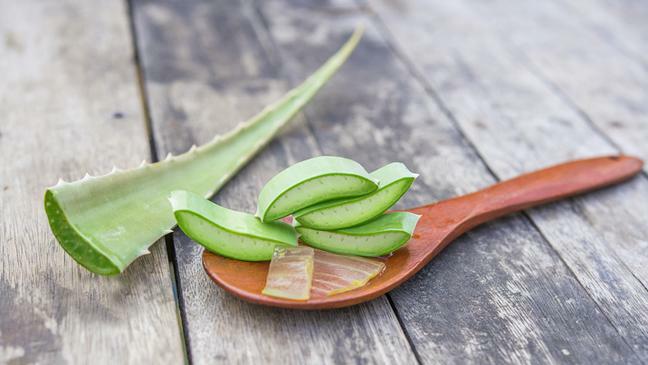 Aloe Vera has several skin-nourishing benefits and it also has antifungal and antibacterial properties to improve your skin quality. It contains a various substance which has the ability to lighten up your skin tone and give you an even skin free of dark patches and dark spots and a combination of milk and Aloe Vera will do wonders for your skin. Mix equal amount of aloe Vera gel and milk in a bowl and rub gently on your elbows and knees and leave this on your skin overnight and wash it off next morning.